When we are often used for using our mobile phones internet on PC by using wi-fi or USB tethering. But very few people know that opposite of that can also be done, i.e. that we can use internet connection on PC on our mobile. Although, its a bit hard. It is called reverse tethering. This tutorial will guide you to know how to make using pc internet on android device possible. This is specially useful when you dont have wifi router in your home. Rooted phone – Yes, you need a roted phone. Google if you want to know how to root your phone. 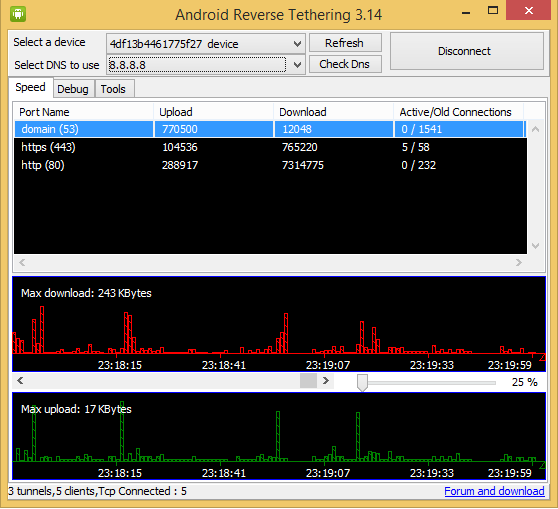 Android Reverse Tethering tool is an free windows utility which makes use of ADB ( Android debug bridge ) to share your Computer’s internet connection with your android phone over an USB data cable . You can download it from this link , or visit the link provided above for the latest version of the utility . Step 2: Extract the downloaded zip file and run the AndroidTool.exe file . Step 3: From the Android reverse tethering utility , select your phone from the “ Select a device “ drop down box and then from the “ Select DNS to use “ dropdown box , select a DNS ( Choose anything apart from 192.168.1.1 ) . Step 4: Click on the Connect button to start the reverse tethering process . The utility will then connect with your android phone and install the required apps on your phone . If the utility crashes simply run it over again . 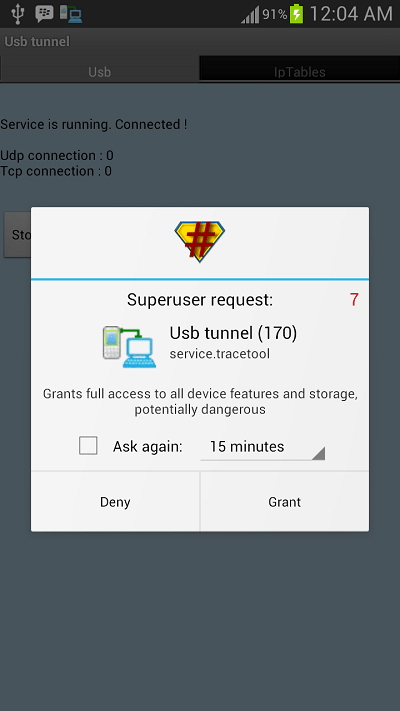 Step 5: After the required apps have been installed on your phone , You will be prompted to grant root access to the USB tunnel app . Tap on “Grant” to provide root access to the app and you can access your Computer’s internet connection on your phone . Thats it and now you will be able to access your Computer’s internet on your Android phone and even all your android apps would be able to access it too . 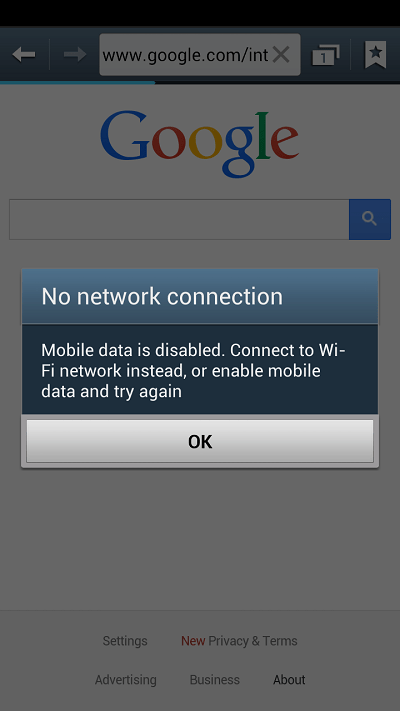 You might be prompted with an No network connection error in intervals , its nothing to worry about and you can click ok to proceed further .